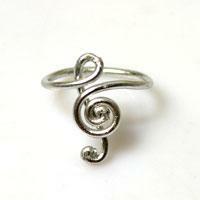 This simple tutorial will tell you how to make a beautiful treble clef ring with wire. 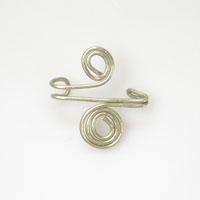 If you are a music lover, you should make a music note wire ring for yourself. 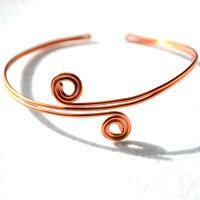 This article is to display you how to make a simple ear cuff with wire. 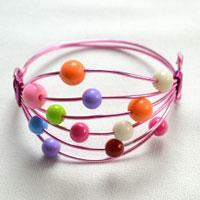 Hope you will like this easy jewelry making. 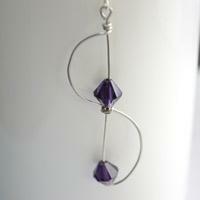 This tutorial shows you an interesting earring pattern – wire wrapped hanger! 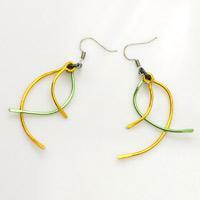 With simple wire coiling technique you can also make the fun earrings. Gather a few beads, charms and inches of leftover brass wire and learn to make dangle earrings with them by using simple loop and wrapped loop techniques, very fun and not hard at all! 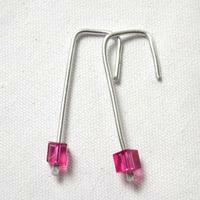 This is a very simple earring pattern to make in the whole learning center. 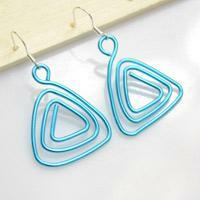 With less focus and cost, you can make a pair of personalized wire earrings. 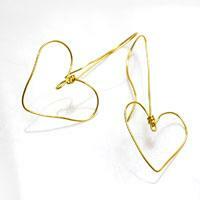 Within 10 minutes, you can learn how to make your own handmade version of wire heart earrings! It’s a quick and easy way to turn brass wire into a sparkling holiday accessory. 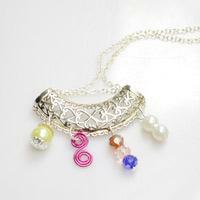 This tutorial is going to show you a Tibetan style charm necklace design. 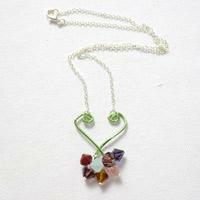 Follow me to attach diversified bead and wire charms and create a lovely charm pendant necklace. A simple way to make a personalized wire wrapped ring is displayed with clear photos in this tutorial! 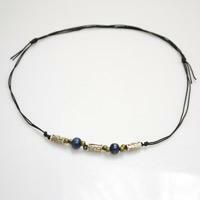 This tutorial will teach you to utilize simple beading and knotting techniques to make a Tibetan bead necklace for men! These super easy gold chain earrings takes only minutes to complete and requires merely very basic wire wrap techniques by using minimal amount of materials. 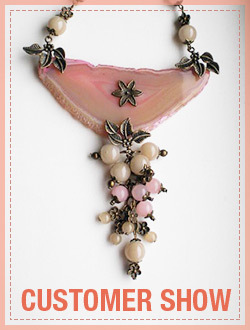 Do you love DIY jewelry? 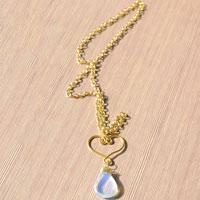 Here we want to show you an idea about making a charm pendant necklace. It is very cute. If you love making jewelry, you can start with some easy jewelry. We want to teach you how to make simple earrings in this tutorial. Please pay attention to this jewelry making idea. 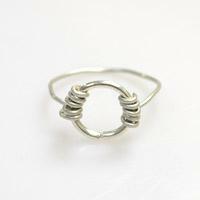 Aluminum wire is often used as auxiliary materials in jewelry making. And this time we will use it to make a beautiful aluminum wire bracelet. Do you like hoop earrings? People who wear the hoop earrings are quite chic. 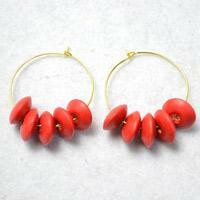 In this tutorial, we will tell you to make red bead hoop earrings. 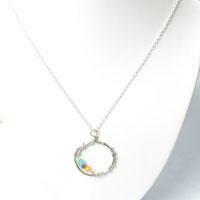 This wire and bead jewelry project is inspired by a bird nest ring we have shared with you during the mother’s day, but this wire necklace tutorial is surprisingly easier and cuter. 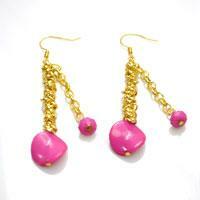 ngle earrings tutorial, we will make S dangle earrings. It looks simple and gorgeous. 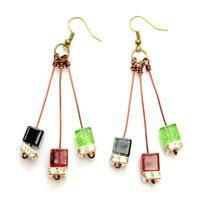 If you are a jewelry making enthusiast, you can try it. Today's easy craft is about a tutorial on making necklace with wire and beads, I hope you enjoy the process of learning this "how to make a wire necklace" project!